WHITEHOUSE STATION, N.J., Oct. 4, 2018 /PRNewswire/ -- Chubb has appointed Mary Parsons, Executive Vice President, Sales and Distribution Leader, for its North America Personal Risk Services (PRS) division, effective immediately. In this role, Ms. Parsons will be responsible for achieving profitable growth targets across all regions in the United States, driving execution and measurement of key sales initiatives, and developing agency and broker distribution strategies and sales best practices, while providing leadership and development to the North American Sales and Distribution team. In addition, she will work closely with all other PRS teams across the division and the regional field administration leaders to advance the division's sales goals. 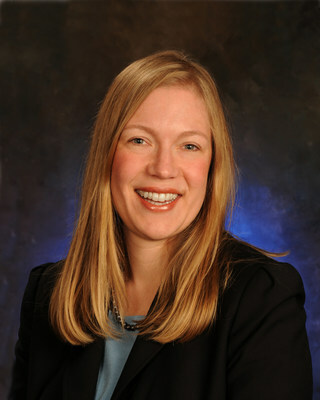 Ms. Parsons joined Chubb as a Personal Lines Underwriter in 1998, and since then has held various leadership roles in sales and distribution, including Personal Lines Manager in various locations in the United States; Field Sales Manager, where she was responsible for leading sales efforts and results in a variety of U.S. geographies; Sales Program Manager, where she was responsible for advancing distribution strategy, including building and aligning resources with top growth opportunity agents; and, most recently, PRS Sales Practice Leader, where she was responsible for creating and driving national sales tactics to improve sales results. Ms. Parsons will be based in Whitehouse Station, N.J., and will report to Ana Robic, Chief Operating Officer, North America Personal Risk Services. "Mary brings deep sales acumen and a tactical rigor we need to further drive our sales organization forward," said Ms. Robic. "Her leadership will be instrumental in helping our agents and brokers to succeed in growing their businesses, and spearheading efforts around Chubb's next phase of growth in North America. Mary exemplifies the deep bench of talent we have at Chubb, and I look forward to working with her to further broaden our marketplace presence and the value we provide." Ms. Parsons succeeds Annmarie Camp, who was previously announced as Head of Chubb's European Personal Risk Services division. Ms. Parsons holds a Bachelor of Arts degree from Hamilton College in Clinton, N.Y., as well as the distinguished Certified Advisor of Personal Insurance (CAPI) designation sponsored by Chubb and the Wharton School of Business of the University of Pennsylvania. She is also an alumna of the Smith College Leadership Consortium in Northampton, Mass.